The final dawn of August arrived wrapped in fog. 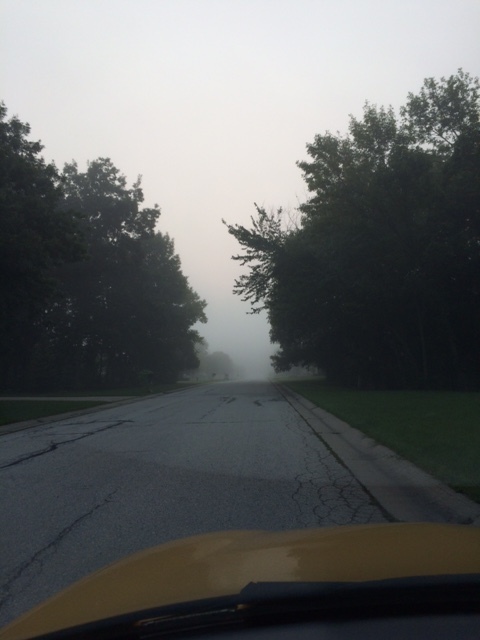 Backing down our driveway and entering the quiet morning, I beheld the mystery of a late summer misty morning. Something about that backlit blur of incandescent white urged me silently forward into this intriguing space. I thought of thresholds again. I have been reading The Soul of a Pilgrim by Christine Valters -Paintner. She encourages me to sit with, name and engage the thresholds in my daily existence, as well as those yet to come. As I crept down the road and into the mist, I pondered the threshold of death. Death was resting on my heart. This past Friday morning, a friend of mine died of pancreatic cancer. She ran a little coffee shop in town and knew everyone by their name and beverage preference. She offered all of her customers the utmost in kindness, always treating each person with genuine respect and friendliness. Each visit, each cup of coffee, opened my eyes to the simple grace in which she moved and lived. Via her example I would head into my day a better minister, friend, listener. What a lovely gift was given to me in that daily ritual of the coffee encounter. It is a gift I cherish and will greatly miss. And so, today, I pondered death. Crossing into the world of illuminated fog, I gave her a shout out, and laughed to myself as I imagined her offering God the best latte ever. 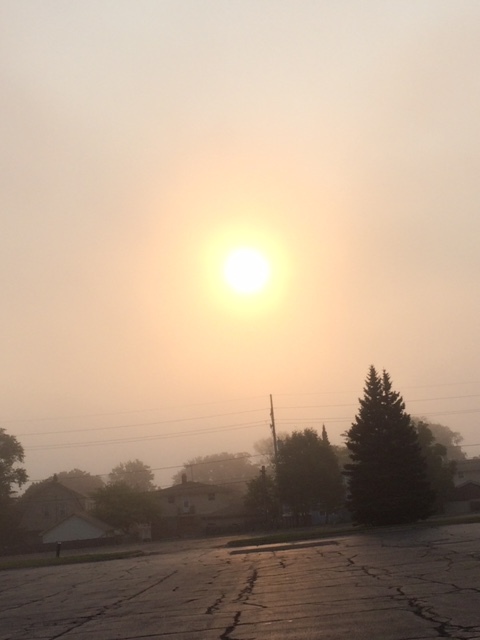 Very briefly, the misty, glowing air cleared just long enough for a glimpse of an orange gold orb to wink at me. I smiled a thank you and sipped my coffee. So sorry to hear of the loss of such a special person.